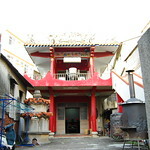 Qianshanshe Temple is situated in the back of Pushan temple, which is located in Xinsheng St, Luoquan Village. It is part of indigenous people’s relics of Paipula Pingpu Tribes. The establishment is related to the discovery of the tomb of Paipula Pingpu Tribes. It‘s proved that Shalu Township is originally the early settlement of Pingpu Tribes, and it reveals the direct and the most reliable explanations. The relic is worshipped in the temple, and people said that it’s dug out during the construction of a textile plant by Qing Lee. 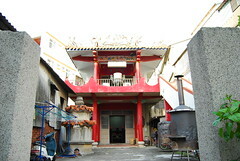 In 1978, due to the construction of Special No.2 Rd in Taichung Port, the temple was moved to the current location.